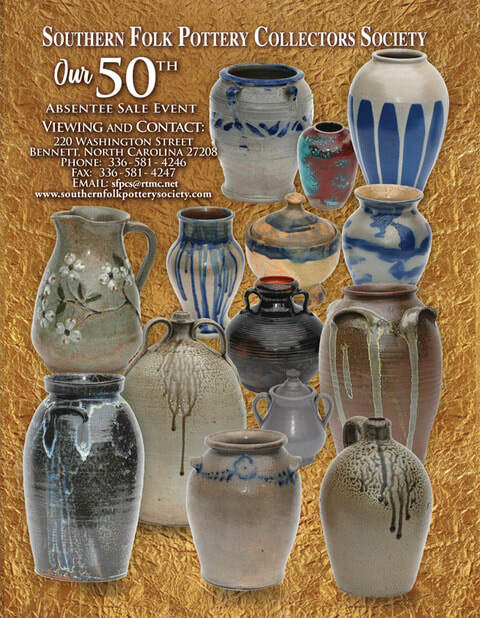 Auction Catalog 50 is a "Full Color" Fully Illustrated Catalog, 132 pages. Over 340 lots! Auction Catalog 50 "Starry Realms" has almost every southern state represented superbly. From the 18th century to the 20th century featuring such icons as Dave the Slave, Thomas Chandler, Tennessee Craven family, Seagle family, surprise Texas piece, even some 19th century long rifles, and furniture, and pottery books. A must see sale of the highest quality. "Consignors" of items in the sale will receive a complimentary Auction Catalog. 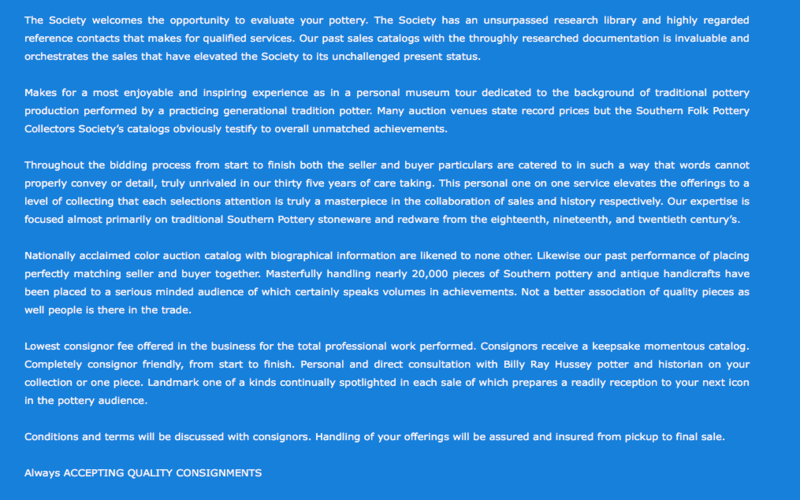 Send images of pottery considerations to our email address below or fill out information and send photos on the Auction Item Registration Form. ​Please send just one photo view of each piece as we can request more images if needed. Use small or medium jpeg photos. Always accepting quality consignments for our Auction Sales. ​Thank you and hope to hear from you soon.